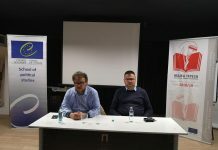 This seminar was related to the general topic of the School of Public Policy as it aimed to improve the knowledge of the participants in the field of public policy and in particular in the area of liberal multiculturalism. 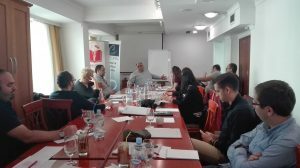 The seminar took place in the hotel Garden, Ohrid during the weekend 9-11 November 2018. All the participants took an active role in the seminar. Overall the specific objectives of the event were to increase the skills of the participants of the policy making process and to get acquainted with the theoretical and practical options for undertaking policy research and analysis in the field of liberal multiculturalism. A special focus we dedicated to the questions: What are the theoretical postulates in political theory that inform the debate on this topic? What are the policy recommendations of political theorists of liberal background vis-à-vis other academicians and practitioners? 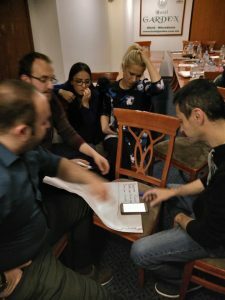 How can we square the circle in Macedonia, itself a multicultural society with own issues and problems? What about gender and Roma? Between Multiculturalism and Plurality in the 21st Century?! The lecture will critically examine human rights theory by looking at the work of the German Jewish political theorist Hannah Arendt who has offered one of the most original critiques on the human rights by focusing on the question of the refugees. In that direction, the lecture will examine comparatively the notion of equality in the human rights law and as it is understood by Arendt. Furthermore, will briefly discuss the concepts such as race, nation-state and sovereignty, to ultimately arrive at the complex interrelationship between multiculturalism and plurality. The latter represents the most central aspect of Arendt’s work. While Arendt provides for the most profound critique on the human rights paradoxes, the multicultural critique on the human rights stands in the similar line and differs. Such a tension will be explored as well throughout the lecture. 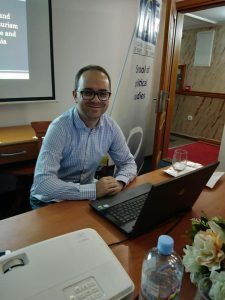 Deniz Selmani, is one of the founders and program manager at the Institute for Research and Policy Analyses – Romalitico, Macedonian think tank. He has an M.A. from the Political Science Department in the Central European University. 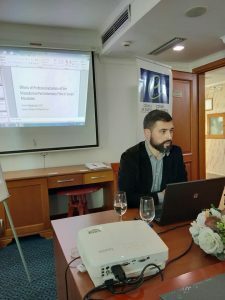 In the period May 2016 – January 2017, Deniz was a research fellow at the Center for Economic Analyses – CEA and conducted research on otherness of the Roma and the entrepreneurship policies. Selmani is an alumnus of the Mother Teresa School of Public Policy, which is supported by the Council of Europe. 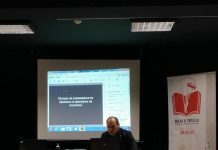 Also, he took part in the First Public Policy Forum organized by the Friedrich Ebert Foundation – Skopje and the Progress Institute where in cooperation with a group of young researchers prepared a policy study on the student standard in Macedonia. 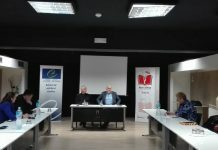 As a national expert of the OSCE Mission to Skopje, Selmani prepared a comparative analysis of the implementation of the Convention for the Protection of National Minorities in Macedonia, as well as a draft methodology for identifying persons without documents. 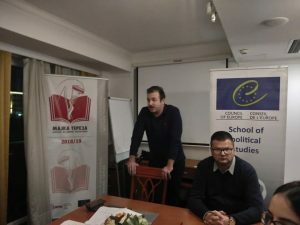 His research interest is political parties, electoral models, as well as monitoring the implementation of public policies aimed at inclusion of the Roma community. 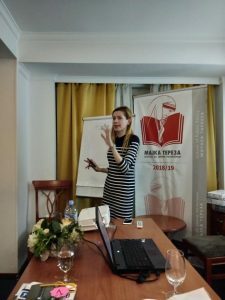 Dora Jurukova is a PhD Candidate at the Faculty of Philosophy, University of Ss. Cyril and Methodius, Skopje. She is alumnae of the School of Public Policy Mother Teresa and a historian. 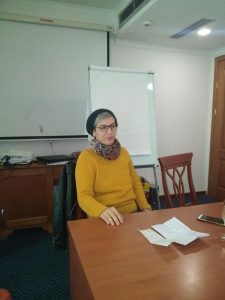 Nati Vozian is a gender expert from Moldova, educated from the Department of Business Administration and Economics, The University of Sheffield. Nati does research in Finance, Business Administration and Business Economics. Aleksandar Klashninovski, Aleksandar has extensive experience working with C-level executives and top management representatives of Global Fortune 500 corporations, international educational academies as well as global organizations spanning on three different continents. He has also extensively cooperated with expert instructors as well as high-ranking government officials. Aleksandar’s vast international exposure includes working with organizations from different sectors such as Johnson Controls, Johnson Matthey, Endava, Van Hool, Kemet, Amphenol, International Facility Management Association, Human Resources Certification Institute, Project Management Institute, Almajdouie Automotive, Al Rajhi Investments, Abu Dhabi National Exhibition Center etc. His main strength lies in vast interdisciplinary and cross-functional knowledge stemming from his educational background, professional interests and corporate experience. He is in charge of development of new professional development services, managing company’s biggest and main cost center, conducting competency-based assessments and TNAs, business process improvement, prospecting, interviewing and recruiting international consultants as well as quality assurance and establishing partnerships with international educational certification associations. Aleksandar has been also part of the Macedonian Government’s State Aid Negotiation Team where he was in charge of preparing State Aid agreements, negotiating with prospective receivers of State Aid on the non-financial parts of the agreements, financial analysis of state aid packages and scenarios, conducting comparative foreign direct investment analyses, legislative drafting related to the state aid activities as well as assessment of business plans and State Aid Applications. He was project coordinator of the successful investments of Kemet and Amphenol in Macedonia. Aleksandar holds Bachelor of Laws (LLB) degree, and MBA degree from the University of Sheffield, United Kingdom. He is also Certified Six Sigma Green Belt by ASQ (American Society of Quality) and ICALS (International Certificate in Advanced Leadership Skills) from IABFM. Jana Lozanoska, is a Doctor of Peace and Conflict Studies from the United Nations University for Peace, San Jose Costa Rica and has obtained an LL.M degree in international humanitarian law from the University of Geneva and Graduate Institute of International Studies, Geneva, Switzerland. 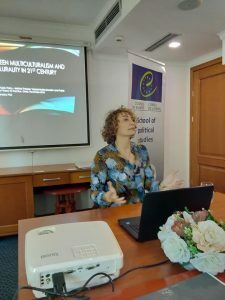 Her doctoral research is a critique of human rights that is based on the idea of human dignity as proposed by the German-Jewish political theorist Hannah Arendt. Her approach is interdisciplinary and her research interests are in the field of human rights, political theory, refugees, transitional justice, especially exploring the notion of the temporality of justice. Has taught courses related to world citizenship, hate speech, UN system and conflict transformation and resolution. She has published several articles on human rights, democracy and rule of law and edited two publications. She has been researching scholar at University of Verona, Humboldt University, Institute for Philosophy I. In 2015 she was visiting scholar at Bard College, NY Annandale on Hudson. Her professional career of ten years is a combination of academia, research, policy and NGO area including work on the local, regional and international level. Has conducted several research projects in the area of human rights, democracy and rule of law. Worked as an expert within networks and academia which were directly supported EC Justice Directorate. Also served as an Adviser to the Minister of Foreign Affairs of the Republic of Macedonia for two consecutive years on issues related to public diplomacy, human rights and multilateral cooperation. 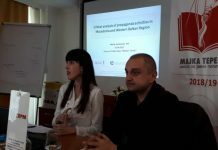 She had contributed frequently as a regular columnist in several daily newspapers and online platforms in Macedonia. Lozanoska had published three poetry books and one novel that deals with the notion of memory and identity.